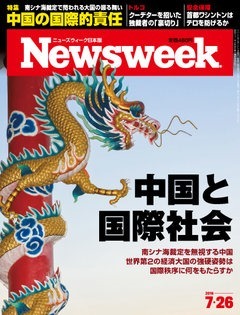 It’s the summer of Trump, so my July monthly essay for Newsweek Japan (available here) is about him. I figure if everyone else can get on the Trump gravy-train, then I can too. For my specific thoughts on Trump and Asia, go here. My interest is because I used to work in Republican politics in Ohio in the 1990s. I interned for John Boehner and later worked for a congressman. I’ve never really thought of myself as a Democrat, but the Republicans have gotten progressively more paranoid, anti-intellectual, and belligerent in the last 15-20 years. So now I am a ticket-splitting centrist, I guess – or at least I was until Trump came along. This is the first year I skipped a Republican primary, and I think the health of the republic requires a resounding Trump defeat this fall. Anyway, this piece for Newsweek lays out what I think is the real impact of Trumpism. Given that Trump himself will likely lose and then disappear, his real impact will be that he opened new, white nationalist pathway to the GOP nomination, while demonstrating that GOP voters don’t actually care for the dated Reaganite agenda of the party’s Washington elite. So Ryan, McConnell, Laffer, and the rest now stand revealed as the emperor with no clothes as the nativists take over. Hence the next 4 years will be civil war between entrenched but unrepresentative Reaganites, and rising, insurgent Trumper nationalists. It is not clear who will win. From July 18 to 21, the American Republican Party will meet in Cleveland, Ohio for its presidential year convention. Donald Trump, of course, has won the Republican primary election, but he is so toxic, that he faces a possible ‘convention coup’ to displace him as the Republican candidate in the general election. This would be unprecedented. The United States has not seen a contested convention in decades. A convention fight would be remarkable, but it would only reflect the reality of a now-deeply divided Republican party. Indeed, Trump’s primary candidacy has already ignited an intra-party civil war, and that division will outlast Trump’s likely defeat in November. Trump’s nationalist message – populism tinged with racism, trade mercantilism, hostility to immigration and Islam, border control – has resonated deeply with the lower income white electorate that now makes up the majority of the Republican party voter base. Indeed, as Brexit and the rise of the National Front in France have shown, these issues reach across the West. There is a pan-Western backlash brewing against globalization and immigration, of which Trump is just a small part. The real fight over the Republican party will begin after November’s probable defeat. Trump himself will fade. He is too old to realistically run again and too erratic to maintain a long-term presence in the party. But he has shown a new way to win the Republican primary. He has run as a white cultural nationalist, emphasizing racial, sovereign, and nationalist themes that have not traditionally been a part of polite American political discourse. The United States has never had anything like a European-style, nationalist-rightist party, and fascism never gained a foothold. But Trump has shown that a fair number of white Americans are attracted by overt racial appeals, and this path will almost certainly tempt future conservative candidates. Evolving into an overt nationalist party would be a major shift for the Republican party. The current Republican issue coalition dates back to Ronald Reagan’s rise in the late 1970s. The basic ‘Reaganite’ package includes three pillars: libertarian economics, a muscular foreign policy, and social conservatism. The first means supply side economics, with a centerpiece of large tax cuts to ‘supercharge’ the economy. The second is basically what we call ‘neoconservatism’ today. The third meant hostility to the sexual changes unleased by the 1960s, most obviously rejection of abortion and homosexuality, often couched in Christian language. For 40 years, Republicans have broadly run on this agenda. But racial and cultural anxiety lurked in the background, driving far more conservative votes that Republican elites were willing to admit. When the civil rights movement released blacks from a century of segregation, a white backlash set-in, particularly in the old Confederate South. The Republican party deployed its so-called ‘Southern strategy’ to attract those disgruntled whites. For decades Republican candidates emphasized issues like black crime and racial quotas to attract votes. For similar reasons, the Republican party has attracted evangelical Christian voters hostile to Islam in years since 9/11. Capitalizing on white nationalist cultural grievances helped win elections, but it could not be overt. The moral success of the civil rights movement delegitimized openly racist politicking. Race politics is politically explosive in a multicultural country like this US, and the Republican party increasingly needs to appeal to non-whites, who are now nearly one-third of the US population. Even Asian-American voters, whose high incomes suggest they might consider voting Republican, are put off by the right’s legacy of racism. The Republicans had to walk a fine line of attracting the resentment vote, without actually indulging its worst instincts. Trump’s revolution is that he dropped the hints, implications, and signaling, and ran instead as an overt white nationalist candidate. And he won! He proved that much of the Reaganite agenda has little appeal to the actual median voter of the Republican party, and that what really motivates is the (correct) perception that America is becoming less white and more pluralistic regrading women, homosexuals, non-Christians, and so on. The Republican party appears, in its elites, to be a party of wealthy, but in fact, its voters are now primarily downscale, working and lower-middle class whites. Over the years, the Reaganite agenda meant less and less to them. They are not anti-statist libertarians. In fact, they rely on the welfare state and believe that the wealthy should pay more taxes. They are not neoconservatives either; they would like to see a more cautious use of American force. And they are not especially devout church-goers; most Americans, including Republicans, have come to accept a great deal more sexual and gender freedom, such as divorce and gay marriage. These changes have returned the strange outcome that Republican elites today are divorced from their own electorate. They speak a fossilized Reaganite idiom with little real appeal. This explains how Trump came out of nowhere to beat twenty of other establishment Republicans in just eight months. The future of the Republican party then, will be clash between these aged Reaganites and rising post-Trump insurgents. It is not clear who will win. This entry was posted in Conservatism, Republican Party, Trump, United States by Robert E Kelly. Bookmark the permalink.